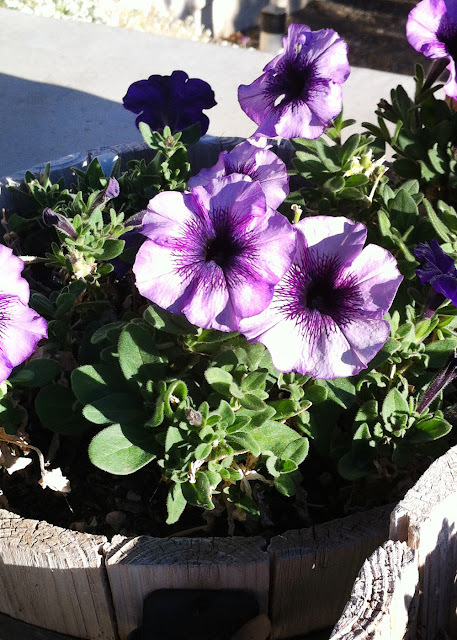 Most of the spring, summer and fall my containers were filled with colorful flowers. But today they looked like this. 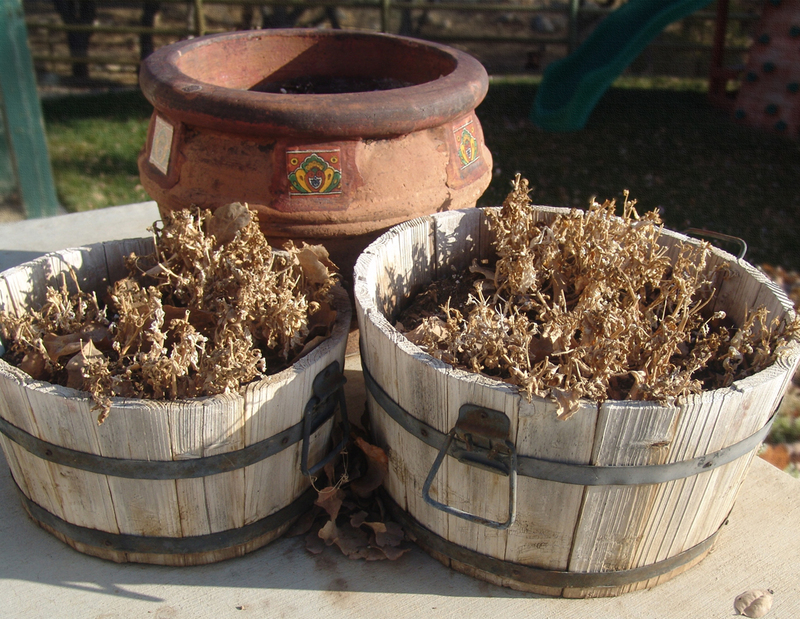 Not very lovely at all. 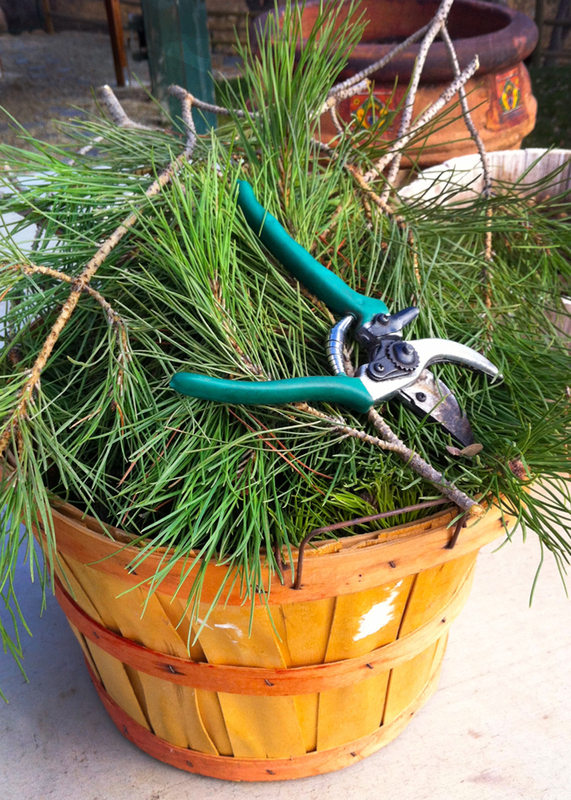 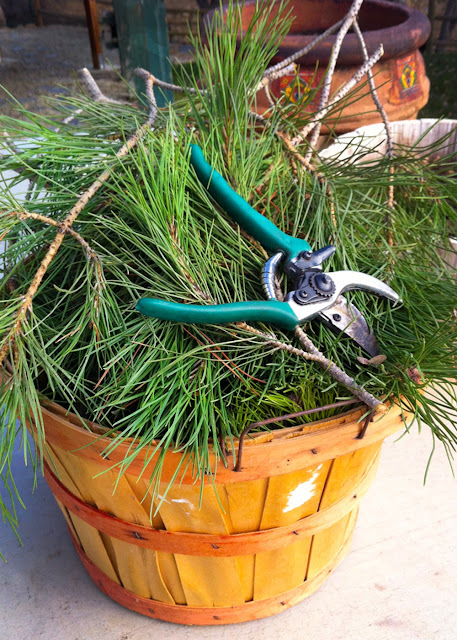 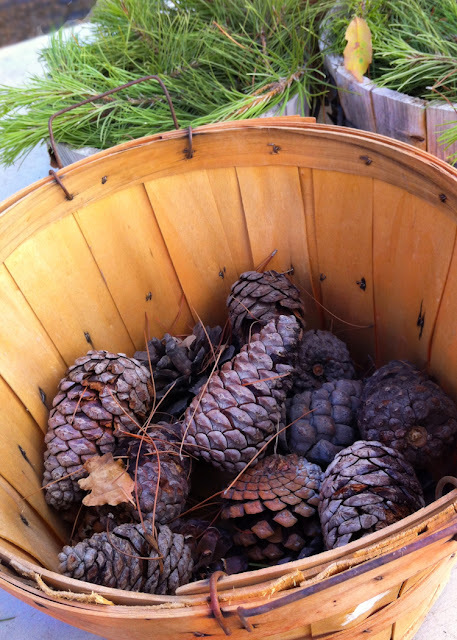 I decided to clip a few branches from my trees and hunt for some pine cones with my kids. 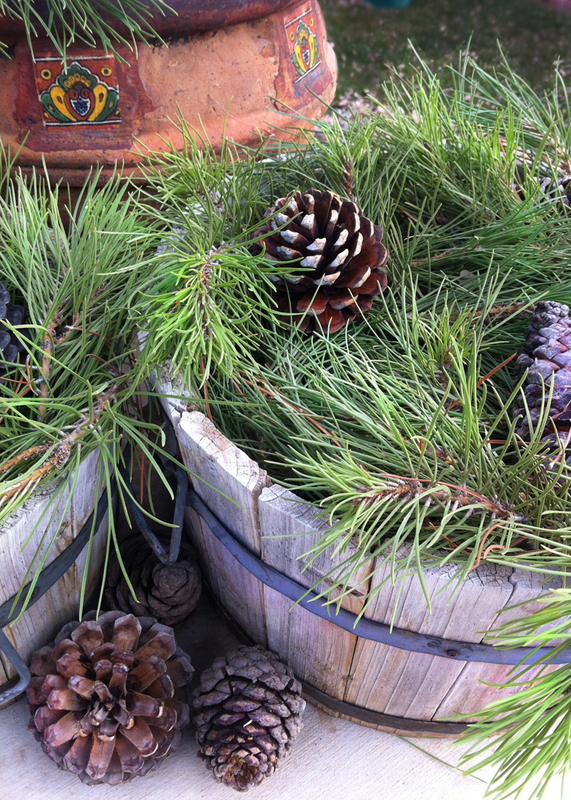 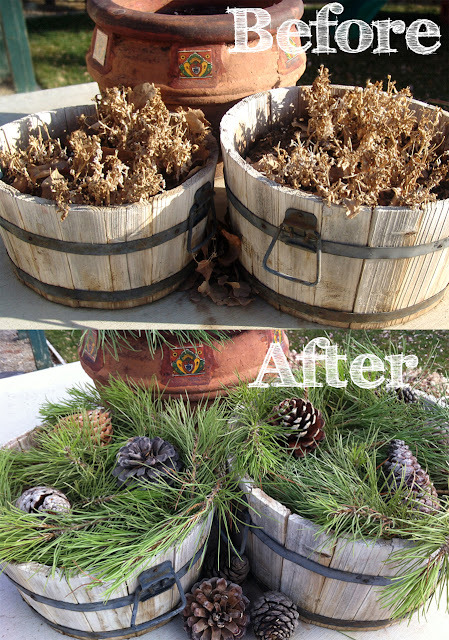 After removing the dead petunias, I layered branches and pine cones for a MUCH better look! 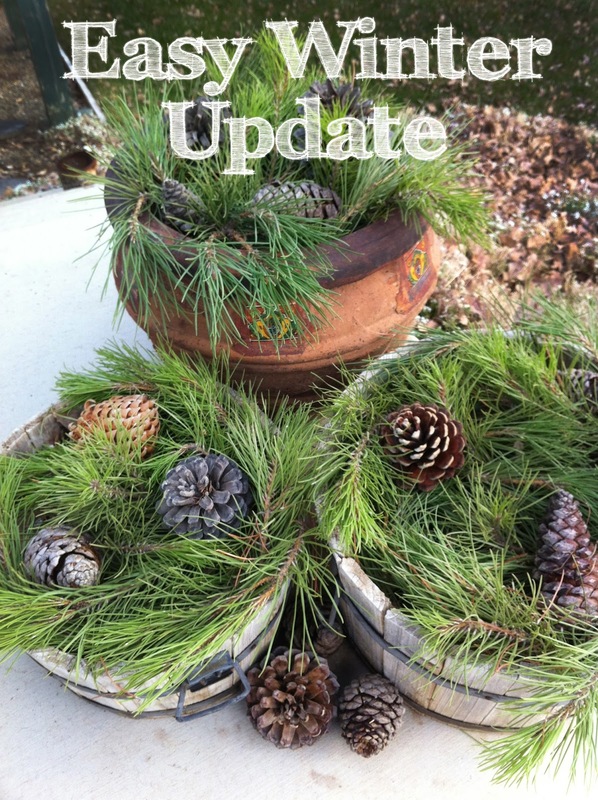 A quick and easy outside update.